The celebrity Emperor Penguin at Wellington Zoo had a satellite tracking device fitted yesterday in preparation for his trip towards colder climes during the coming week. Happy Feet getting the logger glued to his back. Photograph by Susan Waugh. © Te Papa. The bird will be transported to south of 50 degrees on the NIWA research vessel Tangaroa this week. Sirtrack Ltd had developed one of their line of specialist wildlife tracking devices for the bird. It is about the size of a small cell phone, and will send location information to scientists following the penguin’s story. Dominique Filippi showing the logging device. Photograph by Susan Waugh. © Te Papa. 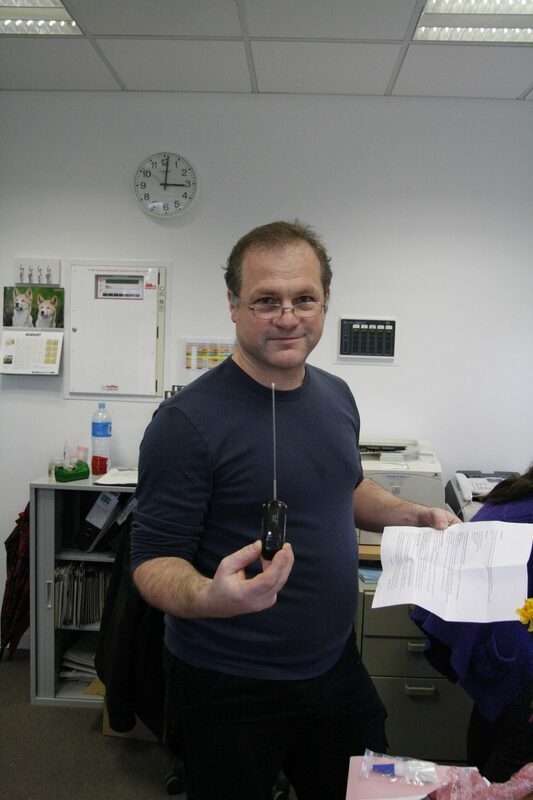 Dominique Filippi, Wellington based researcher from Sextant Technology, deployed the transmitter, using techniques developed in his work with the French Centre National de Recherche Scientifique Emperor Penguin programme, with whom he works in Antarctica. 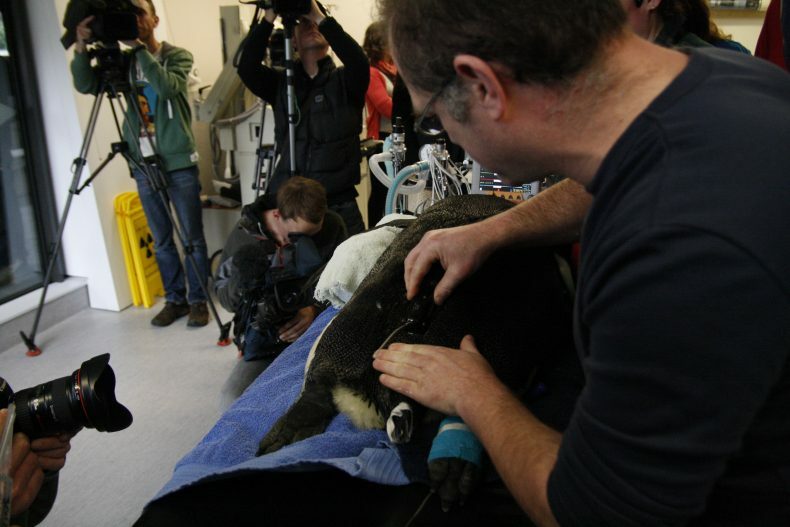 The device was attached by superglue to the feathers on the lower back of the penguin, and further secured with cable-ties. This technique has been used for several years on a range of marine animals, and does not cause more than minor inconvenience to wild birds or mammals. Dominique Filippi showing where the logger will be attached. Photograph by Susan Waugh. © Te Papa. The logger is programmed to transmit for 7 hours per day, in order to save the battery, and to maximise the lifespan of the device. It will transmit between 6-9-am and 8pm-12am (NZST), the times when most satellites are overhead in the zone which the penguin will be travelling through. The logger will detach from the bird after several weeks, as the bird loses its feathers during its normal moult cycle. The data from the bird’s locations are transmitted without needing to re-capture the penguin, and hence its progress towards Antarctic penguin colonies will be able to be tracked for the next several weeks, after its release. Colin Miskelly will be posting more news about the emperor penguin once the webpages allowing you to keep track of his progress are up and running. 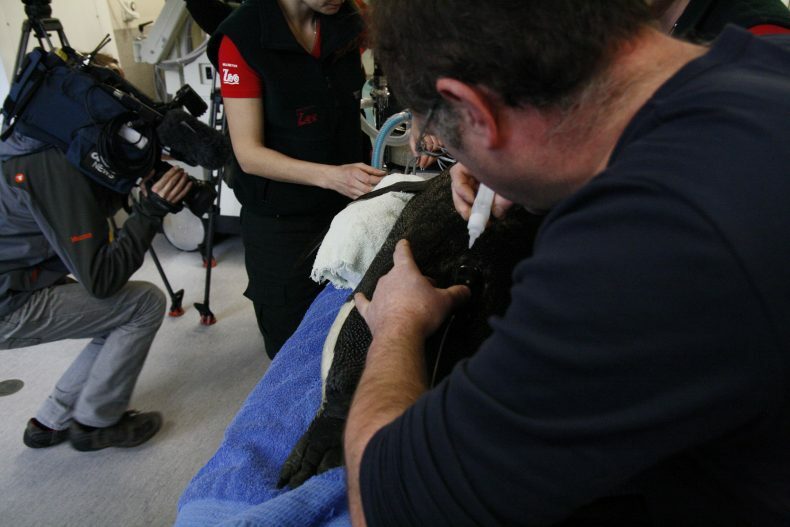 Te Papa's Blog | The global penguin – Part 8. Free at last! Sadly to err is human, but feel so sad we may have lost Happy Feet, I would have liked him to have been left near a colony of penguins, so he could find a mate, but we can learn from our errors cant we? But do we really believe he was on his own, did he really swim in the wrong direction to Peka Peka Beach, or was he caught in a fishing net and put ashore on the nearest beach… I think there is more to it, being found so close to the Capital… thank goodness he was found, and pumped out so to speak, ridding his body of sand, stones, driftwood and what the humans love to ditch in the open… plastics..let us pray he is safe, and we can put our rubbish in the correct places, not the sea or beach, try a waste bin! You people apparently made a huge error when you dumped Happy Feet into the ocean expecting him to swim 1000 or more miles! What were you thinking? He apparently (I hope not) became a meal for a predator. Next time if there is one take the bird all the way home and not dump him. Then and only then will your efforts in saving the animal be successful. 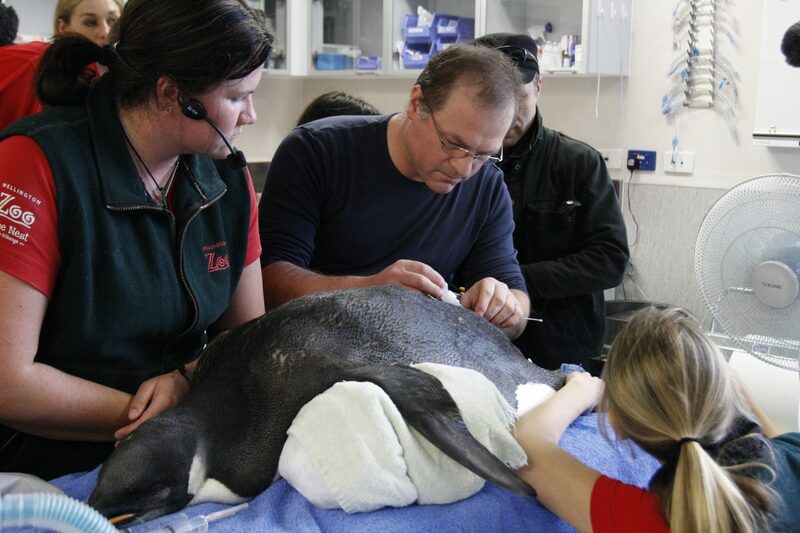 I think its wonderful that HAPPY FEET is on his way home, and we can keep track off him.. Many folk say waste of money, but if we didnt do this, we wouldnt learn. Just hope he makes it home safely, and stays there!